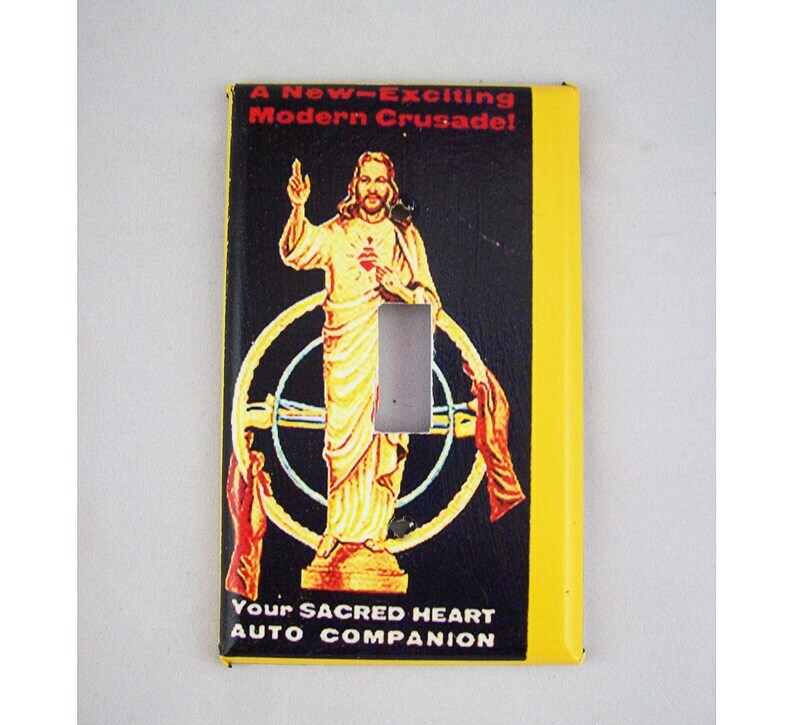 Bring a bit of religious kitsch to your walls with one of my light switch plate covers featuring your choice of a vintage era image of a dashboard Jesus or a cocktail toting saint. Extremely fast shipping. Super pleased with the quality of the metal wallet, and it’s a bit thicker than I thought it’d be, which is great!